As we, humans, have to keep ourselves in shape by brushing teeth, cutting hair and clipping nails, our four-legged companions also may require some additional grooming besides the regular bathing and coat brushing. This isn’t only about appearance but also your dog’s health. One of these things that dog owners often don’t do is clipping or trimming your pet’s nails. In fact, if there is a need to shorten your dog’s nails and you don’t pay attention to it, your beloved pup might end up with serious health issues that can affect its life quality. We have seen many damaged dog nails in our clinics because dog owners didn’t trim their dog’s nails or did it the wrong way by not using proper nail clippers or technique. This article is all about managing your dog’s nails, choosing the best dog nail clippers and learning how to do this seemingly hard task. Do you really need to clip your dog’s nails, if so, how often? We have been asked uncountable times: “How I can know when my dog’s nails have to be trimmed?” There isn’t a single universal answer. Some may think that you have to cut your dog’s nails when they touch the ground. This is only partially true. We suggest that nails should be just slightly apart from the ground, just a tiny bit so your dog can “grab” the ground with its paws and nails when it needs extra traction doing activities like running and digging. Cutting nails too short can harm your pet (even if you don’t hit quick – blood and nerve supply) by limiting its abilities and affecting pace. Some people believe that it’s time to trim your dog’s nails when you hear clicking sound from the floor as your dog walks or runs down the hallway. This isn’t a factor as nails in perfect length may also make a scraping sound. You should note that not all dog nails will have to be trimmed. The lifestyle of your companion. Not all dogs spend their days equally. Some tend to sleep or rest all day and go out only to do their natural needs. However, some might spend their whole day outdoors running around and playing vigorously, going hiking with the owner or running at least a couple of miles every day. The more time your dog spends on any of its feet, the more the nails will trim in a natural way. Nutrition. The balance of certain minerals and vitamins can determine how strong dog’s nails will be, their structure and therefore also the growth rate of nails. Your dog must have a balanced diet containing both the best possible dog food as well as some “human” food like vegetables and fresh meat. The type of surface they walk on. A huge factor is a surface your dog spends his most walks on. If you take a walk on a sidewalk that’s made from asphalt or concrete, dog’s nails will trim down naturally as hard surface acts as a natural sand paper. In the result, you will have to use dog nail clippers less often or maybe you won’t have to use them at all! Dirt, gravel, and grass are also great just let your dog spend some time on it. We can conclude that clipping your dog’s nails depends on various factors. For some dogs, you might have to do it every day and for others maybe never because of their active lifestyle and type of surface they spend their time on. So, in short – you want to keep your dog’s nails at ground level or so that there is a slight gap between the nail and floor. To trim your dog’s nails with no effort and as comfortably as possible, you will need the best dog nail clippers on the market. We have tested dozens of different nail clippers for dogs in our clinics and trimmed hundreds of nails, therefore we have made a list of top 9 best nail clippers for dogs you can get. But first, let’s compare a different kind of tools and how to choose the right one. Scissor type clippers function like regular scissors. Just they have half-moon indentations. There are two blades that cross cutting the nail. In our opinion, these are the best dog nail clippers for beginners as well as experienced ones who want to cut their dog’s nails in a certain way. Scissor Clippers will work great for all dog sizes and can handle very thick as well as thin nails. 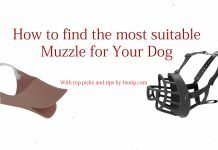 There are different sizes available so you can find the one that’s most suited to your dog breed. With these clippers, you can cut your dog’s nails by small shavings, slowly trimming them in the desired angle and length. HM tip: With scissor clippers, it’s harder to cut into quick and possibly harm your pet, they are definitely the most popular and advisable choice for both – beginners and experts. Guillotine Clippers have a retractable blade where the nail is pushed upon in it with squeezable handle. All you have to do is place your dog’s nail in the hole, line up the edges with where the cut will be made. Then squeeze the handle, and the blade will slide across the hole. One thing you will have to keep in mind is that blade mustn’t face dog, but you. Guillotine Clippers are great for small and medium sized dogs. However, there are drawbacks. For example, you can’t use it to trim your dog’s nails slowly – one shaving followed by another. They are made for clipping a large chunk of the nail – one clip, and that’s it. Next, the blade will have to be replaced at some point as it will tear over time and it has to be as sharp as possible. You may also have difficulties cutting thick nails of larger dogs. When you have done clipping your dog’s nails using tools above and now just want to file down the nail or smoothen out edges, a grinding tool a great way to do so. We usually only is it if the nail is left with some sharp edges that might catch up on the carpet, but you can also use a grinding tool shape your dog’s nails. They are also great to remove parts of damaged nail as you can grind away small pieces, so the risk of hurting your pet is much lower. If you are afraid to use scissor clippers or guillotine clippers, you can try to sand down the nail to its desired length. However, this will take a long time, and your companion might be scared of the sound this tool makes. Remember that longer you use grinder tool, the hotter it gets so avoid using it for long periods of time. Boshel Dog Nail Clippers are one of the best nail clippers for dogs. If you don’t feel comfortable with cutting dog’s nails then with this tool, you will. 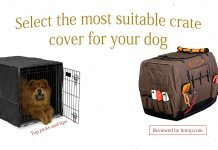 It comes with a safety stop that reduces the chance of your biggest fear – injuring dog by cutting nails too short. Overall it feels like a quality product, blades are made from stainless steel and handles seem sturdy. However, we wouldn’t give it a life time quality as there are other nail clippers for dogs that feel more superior. Despite that, this tool is very easy to use and will serve you for years to come. As a bonus, you also get an included nail file that’s stored in the handle. Our next pick Millers Forge Quality Nail Clipper is another great pick if you are looking for decent nail clippers for dogs. Same as Boshel Dog Nail Clippers, they feature a stainless steel blade and plastic handle just without rubber material. One thing to note is that these Clippers doesn’t have a nail file, so you will have to use a regular file or fine sand paper to even out sharp edges. Quality wise, Millers Forge clippers feels very robust and durable. Safari Professional Nail trimmer is one of our most favorite tools for cutting dog’s nails. Why so? Simply because of their excellent quality and price. Another great thing is that you can get the same nail clipper in different sizes: Large and Small-Medium. Depending on your dog’s breed you can find your best fit, meaning that you can cut Dachshund’s nails as well as German Shephard’s nails. Just like all dog nail clippers on this list, Safari also has a Safety stop to prevent any injuries. Resco Original Deluxe Dog nail clippers are definitely a quality product as Resco invented the guillotine style nail trimmer back in 1937, and has made them ever since. This isn’t a cheap Chinese product as it’s made in the USA and has a construction made entirely out of metal. Handles feature rubber housing for added grip. Resco Original Deluxe Dog nail clippers feature a lifetime warranty so won’t ever need anything more than these clippers. The only thing that will require changing is steel blade, and it’s relatively cheap when compared with a new trimmer. Master Grooming Tools dog nail clippers are another fantastic pick that’s made with quality in mind. These nail clippers have a build that’s made fully out of metal, handles are covered with textured rubber housing and are available in two different sizes: small and large. So you can have a tool that’s made exactly for your dog, resulting in a lower chance to harm your companion. Although these clippers are very reliable and will serve you for dozens of years, you will have to change the blade time by time, so it stays sharps and does its job as well as it can. At last but not the least we have found that Safari Guillotine Nail Trimmer is a very good dog nail clipper for even better price. People seem to choose it over other Guillotine Nail Trimmers because it’s made from metal, features handles with rubber housing and a very low price. It’s twice as cheap as Master Grooming Tools nail clippers or Resco Original Deluxe Dog nail clippers. You can get it in two sizes: small and large. If you own a medium sized dog, you can choose either of these. Dremel 7300-PT 4.8V Pet Nail Grooming Tool is one of the best-dedicated tools for grinding dog nails as it has way more features than competitors. For example, it features two rotation speeds – 6,500 and 13,000 RPM. And you can use it with out a stop for about 2-3 hours. Then it’s time to charge batteries. Overall Dremel is a superb choice, but you have to pay for it – it’s almost two times as expensive as following grinders on this list. URPOWER Pet Nail Grinder is one of our all time favorites because it doesn’t need disposable batteries and uses accumulator instead that can be recharged with USB cable making it very versatile. You don’t need any special adapters or batteries, just plug it into phone charger or in your laptop, and it will charge. Another difference between URPOWER Rechargeable Pet Nail Grinder and Dremel 7300-PT 4.8V is that it uses a grinding stone instead of standing belts, so it lasts longer and you don’t have to spend your time looking for belts that would fit on your specific device. At last, there is an FURminator Nail Grinder. It’s not made for heavy grinding so you shouldn’t rely on it as a tool to shorten your dog’s nails. It’s more suitable for filing down any sharp edges when you have done clipping your companions nails with guillotine clippers or scissor clippers. FURminator uses grinding belts instead of the grindstone and features regular AA-alkaline batteries so no recharging unless you buy special rechargeable AA-batteries and charge them via the special charger. Despite its simplicity, FURminator isn’t the cheapest nail grinder on the market. How to cut your dog’s nails? Maybe you have noticed that some dog breeds have white or clear nails and some have black. They both feature the same anatomy just different colors, but it makes a difference if you have to clip them. Clear or white nails are easier to clip as you can see the translucent part which is safe to cut. If your dog has black nails, you will have to be much more cautious. All dog nails consist of an outer shell and inner quick that has blood vessels and nerves. When cutting, your dog’s nails you want to avoid by any means hitting the quick as your dog will be in pain, and his nails will bleed. If the bleeding is severe, seek medical help at the nearest clinic. However, if it’s slight, you can stop it yourself with a styptic powder. It’s a special powder that clots blood quickly and stops bleeding. We advise you to buy it if you’re going to clip your dog’s nails, in case things get bad. If you would bring your dog to the clinic to trim nails, a vet won’t bother his time and just clip each nail one by one. However, for some dogs, this may cause stress. Being in an unknown place, touched by strangers that use unseen tools. So if you are planning to do this procedure at home, you can train your dog to accept dog nail clippers. First, introduce your dog to these tools, place them next to your pet, let them sniff it out. After some time touch your dog’s paws slightly with dog nail clippers. If you are going to use grinder tool, turn it on and let your dog adapt to noise it makes. Do this until you feel you have built up enough high comfort level. When your dog feels comfortable with tools you’re going to use, it’s time to check them. For guillotine clippers, it’s crucial to check blade – if it’s sharp enough, if it’s not, look for a replacement. You want to cut your dog’s nails as smooth and fast as possible so having tools in working order is a must. Before attempting to shorten your dog nails, you can bath your dog or only its paws in warm water, so the nails are softer and easier to clip. However, in most cases, you can do just fine without bathing. The nail clipping process itself is fairly easy. All you have to do is clip a small amount of nail. The trickiest part is not to cut the quick. If you have never clipped your dog’s nails, clip only a small part of the nail and stop. Even if it seems that dog’s nails are still too long. The thing is that when you clip hard part of dog’s nail, the quick also becomes shorter, but you have to give it a time. To clip your dog’s nails in perfect length, you may have to do this over months. The key here is not to rush anything as it may result in unpleasant injury. And remember – the angle in which you make the clip is not so important, focus on not clipping too much and not rushing things. Trimming nails on a dog with clear nails and black nails can be a bit different. If your dog has white nails, you can safely clip the translucent part and stay away from the pink one as this is quick. With black nails, it’s a bit more complicated, but also manageable. When clipping you should pay attention of black oval center in the middle of the nail. If it appears, then it’s a sign that quick is close and you should stop clipping. The aim is to clip the nail as close to quick as possible without hitting it. So it would have declined further next time you clip your dog’s nails. If you are a beginner, just clip your dog’s nails a tiny bit and stop, this may take longer time, but it will be much safer. When you have done trimming, you can file down the sharp edges of nails. Of course, for some dogs nail clipping isn’t an obligatory thing. Some may live their whole life without clipping nails once, because of their active lifestyle or asphalt they walk on. However, if your dog’s nails have to be clipped, but if you don’t pay attention to it and don’t do it, it may result in serious problems. First of all, if dog’s nails are too long, your beloved pet might feel pain with every step it makes as there is extra pressure on its fingers and paws. If it’s present a long time, it may deform your dog’s paws as well as the spine. HM tip: If you see that your dog’s nails are too long, it has a strange pace or it walks slowly, let your vet take a look, he will most likely clip its nails and then instruct you how to manage this yourself. At first, clipping your dog’s nails may sound terrifying for you and your companion. And the first thought might be “I’ll let my vet handle this.” However, it’s not as bad as it seems. All you need is a pair of decent dog nail clippers and a little bit of knowledge, that’s it! If you’re afraid to hurt your pet, trim your dog’s nails by just a tiny bit each it. It will take longer, however, the result will be the same. As always, if you have any burning questions, feel free to contact us – we are here to guide you.